Royal Princess arrives at Fort Lauderdale, Florida and gets a special welcome! Princess Cruises newest cruise ship the Royal Princess has arrived at Fort Lauderdale in Florida with a special welcome. The ship sailed across the Atlantic from its inaugural season in Europe. Princess Cruises Ambassador Gavin Macload who played the iconic Captain on the popular “Love Boat” TV show was on hand along with lots of young Princesses to welcome the large ship. The 114,172 ton ship is to start a full Caribbean season from its new home port of Fort Lauderdale, Florida. First it will sail a special two night cruise for travel agents to experience the ship. Gavin Macload will also be on the voyage to include a signing for his new autobiography “This Is The Captain Speaking”. On the 29th of October the Royal Princess will then set off on a five-day cruise to celebrate it’s new Caribbean season. After that normal voyages will start sailing on seven-day eastern Caribbean cruises to Princess Cay, St Thomas in the US Virgin islands and St Maarten. The Caribbean season will end in April 2014 when the ship leaves Fort Lauderdale on the 20th to sail across the Atlantic for a summer season sailing Scandinavia and Russia. Regal Princess which will be the sister ship to Royal Princess is currently being built and will be the same class ship. It’s expected to launch in June of 2014. 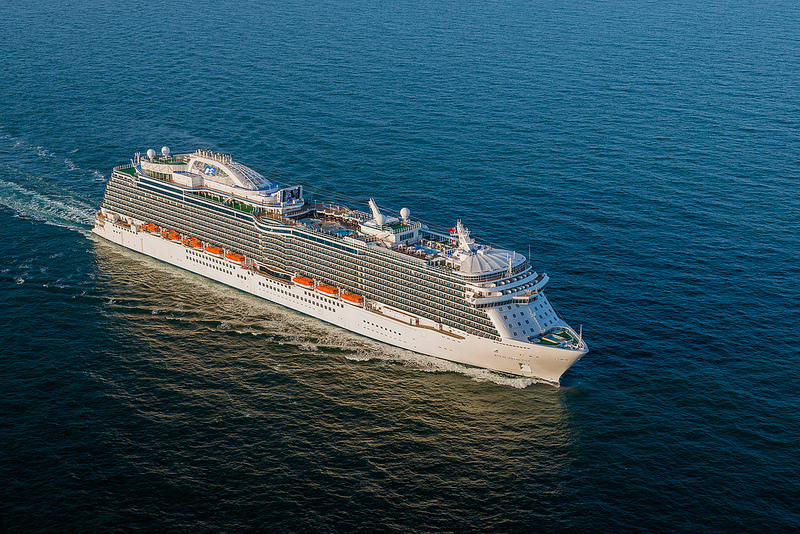 Will you be booking a cruise on the Royal Princess? Also tell us what you think of Princess Cruises newest cruise ship in the comments below.